ಊಟ ಆಯಿತಾ? : ಮುಂಡಾಸು 30 ಮೊಳ..! ಊಟ ಆಯಿತಾ ಅಂತ ಕೇಳಿದರೆ ಮುಂಡಾಸು ಮೂವತ್ತು ಮೊಳ ಎಂದೊಬ್ಬ ಉತ್ತರಿಸಿದನಂತೆ. ಬೃಹತ್ ಬೆಂಗಳೂರು ಮಹಾನಗರ ಪಾಲಿಕೆಯ ಸಿಬ್ಬಂದಿ ಇದೇ ವರ್ಗಕ್ಕೆ ಸೇರಿದವರು. ಏನಾದರೂ ಮಾಹಿತಿ ಬೇಕು ಎಂದು ನೀವೇನಾದರೂ ಬಿಬಿಎಂಪಿಗೆ ಹೋದಿರೋ ಮುಗಿಯಿತು ಕಥೆ. ಕನಿಷ್ಠ ಹತ್ತಿಪ್ಪತ್ತು ಮೇಜುಗಳಿಗೆ ಸುತ್ತು ಹೊಡೆಯಬೇಕು. ಅಷ್ಟಾದರೂ ನಿಮಗೆ ಬೇಕಾದ ಮಾಹಿತಿ ಸಿಕ್ಕೀತು ಎನ್ನಲಾಗದು. ಈ ಕಷ್ಟ ಯಾಕೆ ಅಂತ ಮಾಹಿತಿ ಹಕ್ಕು ಕಾಯ್ದೆಯನ್ನು ಬಳಸಿದಿರೋ- ಅಲ್ಲೂ ನಿಮಗೆ ಬೇಕಾದ ಉತ್ತರವೇನೂ ಸಿಕ್ಕುವುದಿಲ್ಲ. ಕಟ್ಟ ಕಡೆಗೆ ನಿಮ್ಮ ತಲೆಯಲ್ಲಿ ಉಳಿಯುವುದು ಮೇಲೆ ತಿಳಿಸಿದಂತೆ ‘ಮುಂಡಾಸು ಮೂವತ್ತು ಮೊಳ’ ಮಾತ್ರ..! ಬಿಬಿಎಂಪಿ ರಾಜರಾಜೇಶ್ವರಿ ನಗರ ವ್ಯಾಪ್ತಿಯಲ್ಲಿ ಬರುವ ಸಚ್ಚಿದಾನಂದ ನಗರದ ನಿವೇಶನದಾರರ ಗೋಳಿಗೆ ಈಗ ಎರಡು ದಶಕ. ಕಾರಣವೇ ಇಲ್ಲದೆ ಈ ನಿವೇಶನದಾರರನ್ನು ಗೋಳಾಡಿಸುತ್ತಿರುವ ಬಿಬಿಎಂಪಿ ಸಿಬ್ಬಂದಿ, ಅವರಿಗೆ ಕುಮ್ಮಕ್ಕು ನೀಡುತ್ತಿರುವ ಜನ ಪ್ರತಿನಿಧಿಗಳು. ಇವರೆಲ್ಲರ ತಕರಾರುಗಳಿಗೆ ಸಿವಿಲ್ ನ್ಯಾಯಾಲಯದಿಂದ ಹಿಡಿದು ಸುಪ್ರೀಂಕೋರ್ಟ್ ವರೆಗೂ ವಿವಿಧ ನ್ಯಾಯಾಲಯಗಳು ನೀಡಿರುವ ತೀರ್ಪುಗಳು ಸ್ಪಷ್ಟ ಉತ್ತರ. ಈ ನಿವೇಶನದಾರರರಿಂದ ತೆರಿಗೆ ಪಡೆಯಿರಿ, ಖಾತೆ ಕೊಡಿ, ಕಟ್ಟಡ ನಕ್ಷೆ ಮಂಜೂರು ಮಾಡಿ. ವಸತಿದಾರರಿಗೆ ಸಹ್ಯ ಜೀವನ ನಡೆಸುವುದಕ್ಕೆ ಬೇಕಾದ ಸವಲತ್ತು ಕೊಡಿ ಎಂಬುದಾಗಿ ಸಿವಿಲ್ ನ್ಯಾಯಾಲಯ ನೀಡಿದ ತೀರ್ಪನ್ನು ಹೈಕೋರ್ಟ್, ಸುಪ್ರೀಂಕೋರ್ಟುಗಳು ಎತ್ತಿ ಹಿಡಿದಿವೆ. ಈ ಬಡಾವಣೆ ಶಾಸನಬದ್ಧ ಹಾಗೂ ಅದರ ಭೂ ಮಾಲೀಕತ್ವದ ವಿವಾದ ಅಂತಿಮಗೊಂಡಿದೆ ಎಂಬುದಾಗಿ ಇಡೀ ಪ್ರಕರಣದ ಪರಿಶೀಲನೆ ನಡೆಸಿರುವ ಕರ್ನಾಟಕ ಲೋಕಾಯುಕ್ತರೂ ಸ್ಪಷ್ಟ ಪಡಿಸಿದ್ದಾರೆ. ಸಿವಿಲ್ ನ್ಯಾಯಾಲಯದ ತೀರ್ಪಿಗೆ ಬದ್ಧರಾಗಿ ಎಂಬುದಾಗಿ ರಾಜ್ಯ ಸರ್ಕಾರವೂ ಆದೇಶ ನೀಡಿದೆ. ಆದರೆ ಬಿಬಿಎಂಪಿ ಮತ್ತು ರೆವೆನ್ಯೂ ಇಲಾಖೆಯ ಅಧಿಕಾರಿಗಳಿಗೆ ಇದನ್ನು ಪಾಲಿಸುವ ಮನಸ್ಸಿಲ್ಲ. ಸುಪ್ರೀಂಕೋರ್ಟ್ ತೀರ್ಪು ಅನುಷ್ಠಾನ ನಿಟ್ಟಿನಲ್ಲಿ ಕೈಗೊಂಡಿರುವ ಕ್ರಮ ಏನು ಎಂಬುದಾಗಿ ರಾಜ್ಯ ಸರ್ಕಾರದ ಮುಖ್ಯ ಕಾರ್ಯದರ್ಶಿಗಳನ್ನು ಮಾಹಿತಿ ಹಕ್ಕು ಕಾಯ್ದೆ ಅಡಿಯಲ್ಲಿ ಪ್ರಶ್ನಿಸಿದರೆ ಆ ಅರ್ಜಿ ನಗರರಾಭಿವೃದ್ಧಿ ಮುಖ್ಯಕಾರ್ಯದರ್ಶಿಗಳಿಗೆ ಹೋಗಿ ಅಲ್ಲಿಂದ ಬಿಬಿಎಂಪಿ ಕಮೀಷನರ್ ಕಚೇರಿ ಸೇರಿ ಮುಂದೆ ಬಿಬಿಎಂಪಿ ರಾಜರಾಜೇಶ್ವರಿ ವಲಯ ಕಚೇರಿಯ ಅಡಿಷನಲ್ ಕಮೀಷನರ್ ಕಚೇರಿಗೆ ಬಿಜಯಂಗೈದು, ಅಸಿಸ್ಟೆಂಟ್ ರೆವೆನ್ಯೂ ಆಫೀಸರ್ (ಎಆರ್ಓ) ಮೇಜಿಗೆ ತಲುಪಿತು. ಈ ಎಆ್ಓ ,,ಮಹಾಶಯರು ತೀರ್ಪಿನ ಅನುಷ್ಠಾನ ಕುರಿತ ಮಾಹಿತಿ ಕೊಡುವ ಬದಲು 2002ರಷ್ಟು ಹಳೆಯದಾದ ಜಿಲ್ಲಾಧಿಕಾರಿಗಳ ಪತ್ರ, ಅಸಿಸ್ಟೆಂಟ್ ಕಮೀಷನರ್ ಆದೇಶವನ್ನು ಕಳುಹಿಸಿ ಅದರ ಜೊತೆಗೆ ಮೇಲೆ ತಿಳಿಸಿದ ತೀರ್ಪುಗಳನ್ನೂ ಕಳುಹಿಸುತ್ತಿರುವುದಾಗಿ ಪತ್ರದಲ್ಲಿ ತಿಳಿಸಿದ್ದಾರೆ..
ಈ ಪತ್ರದ ಜೊತೆಗೆ ಮೇಲೆ ತಿಳಿಸಿದ ತೀರ್ಪುಗಳು ಇರಲಿಲ್ಲ ಎಂಬುದನ್ನು ಬಿಟ್ಟು ಬಿಡೋಣ, ಆದರೆ ಈ ತೀರ್ಪಿನ ಪ್ರತಿಗಳನ್ನು ಅವರ ಬಳಿ ಕೇಳಿದವರು ಯಾರು? ಜಿಲ್ಲಾಧಿಕಾರಿ, ಅಸಿಸ್ಟೆಂಟ್ ಕಮೀಷನರ್ ಪತ್ರಗಳನ್ನು ಕೇಳಿದವರು ಯಾರು? ಸುಪ್ರೀಂಕೋರ್ಟ್ ತೀರ್ಪು ಪಾಲನೆಗೆ ಈ ಜಿಲ್ಲಾಧಿಕಾರಿಯ ಪತ್ರ, ಅಸಿಸ್ಟೆಂಟ್ ಕಮೀಷನರ್ ಅವರ ಪತ್ರಗಳು ‘ತಡೆಯಾಜ್ಞೆ’ ಆದ್ದರಿಂದ ಸುಪ್ರೀಂಕೋರ್ಟ್ ತೀರ್ಪು ಪಾಲಿಸಿಲ್ಲ ಎಂಬುದು ಅವರ ಈ ವರ್ತನೆಯ ಅರ್ಥವೇ? ಈ ಬಗ್ಗೆ ಬಿಬಿಎಂಪಿ ಕಮೀಷನರ್, ಮುಖ್ಯ ಕಾರ್ಯದರ್ಶಿಗಳು, ಮುಖ್ಯಮಂತ್ರಿಗಳ ಗಮನ ಸೆಳೆಯೋಣ ಎಂದು ಸರ್ಕಾರದ ‘ಇ-ಆಡಳಿತ’ ದ ವ್ಯವಸ್ಥೆಯ ಮೊರೆ ಹೊಕ್ಕರೆ …! ಒಂದೂ ಪತ್ರಗಳು ಅವರಿಗೆ ತಲುಪಲೇ ಇಲ್ಲ. -ಇ-ಮೇಲ್ ಮೂಲಕ ಕಳುಹಿಸಿದ ಪತ್ರಗಳೆಲ್ಲ, ‘ಡೆಲಿವರಿ ಫೈಲ್ಡ್’ ಎಂಬ ಷರಾದೊಂದಿಗೆ ನನ್ನ ಮೆಯಿಲ್ ಬಾಕ್ಸಿಗೆ ಮರಳಿ ಬಂದಿವೆ. ಅಧಿಕಾರಿಗಳಿಗೆ ಜೈ ಎನ್ನೋಣವೇ? ಪ್ರಶ್ನೆ ಅರ್ಥ ಮಾಡಿಕೊಳ್ಳಲಾಗದ ಇಲ್ಲವೇ ಅರ್ಥವಾಗದಂತೆ ನಟಿಸುತ್ತಿರುವ ಬಿಬಿಎಂಪಿ ಎ ಆರ್ ಓ ಅವರ ಜಾಣ ನಿಲುವಿಗೆ ಜೈ ಎನ್ನೋಣವೇ? ಇ-ಆಡಳಿತ ಮೂಲಕ ಜನರ ಸಮಸ್ಯೆಗಳನ್ನು ಕ್ಷಿಪ್ರವಾಗಿ ನಿವಾರಿಸಬಹುದೆಂಬ ಹವಣಿಕೆಯಲ್ಲಿ ಇರುವ ಬಿಬಿಎಂಪಿ, ಸರ್ಕಾರ, ಮುಖ್ಯಮಂತ್ರಿಗಳ ಹುಮ್ಮಸ್ಸಿಗೆ ಅಡಚಣೆ ಒಡ್ಡುತ್ತಿರುವ ‘-ಇ-ಆಡಳಿತ ವ್ಯವಸ್ಥೆ’ಗೆ ಜೈ ಎನ್ನೋಣವೇ? ಇಷ್ಟೆಲ್ಲ ಕಷ್ಟ ಯಾಕೆ ಸ್ವಾಮೀ? ಒಂದಷ್ಟು ಕಾಸು ಬಿಸಾಕಿ ಕೆಲಸ ಮಾಡಿಸಿಕೊಳ್ಳಿ ಎಂದು ಹೇಳೋಣವೇ? Bangalore: In Karnataka, the first state ruled by BJP in South India, Freedom of Press is at stake. 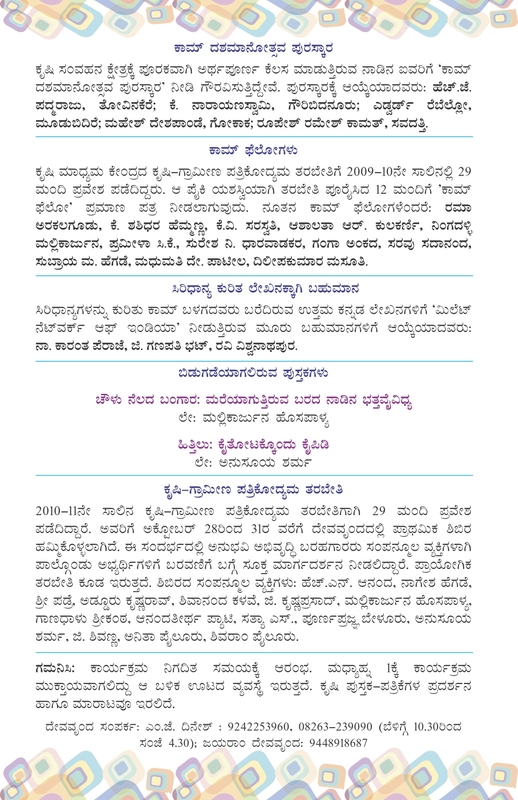 In a very calculated Move, the Government has withdrawn the Press Pass issued to journalists wef: 25-2- 2011 and concessional Bus Passes issued to journalists during the period of Sri Devaraj Urs in 1972 were withdrawn wef 22-2-2011. The order of successive chief ministers to restore Bus Passes issued to Journalists were sidelined by the Transport Minister. He presented the order of his leader i.e. Chief Minister in the board meeting, against the rule and practice, and managed to sideline it. Even though this was brought to the notice of Chief Minister’s nothing has been done to restore it so far. 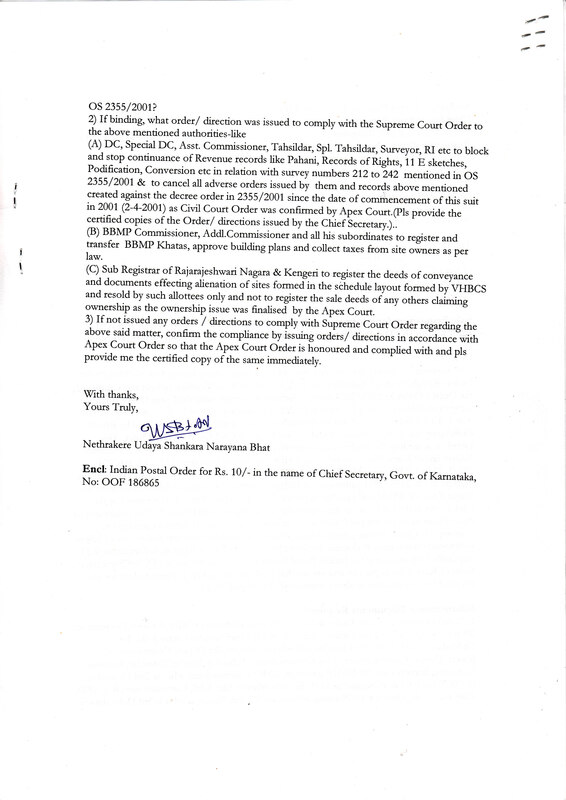 Journalists Association of Karnataka (JAK), which has taken the lead in this fight for the cause Freedom of Press is submitting an appeal to Sri L.K. Advani, “Loha Purush’ and former Deputy Prime Minister, who is on his Jana Chetana Yathra for clean administration and corruption free government, at Bangalore today, 30th October 2011, Sunday and requests him to safeguard the Freedom of Press in Karnataka by asking the State BJP Government to restore the Press Pass and Bus Passes of the Journalists. Pls click the image of Advani above to read the PDF copy of the Memorendum. Bangalore: Sri Pranob Mohanti, Joint Commissioner of Police (Crime) has ordered the Police Inspector Rajarajeshwari Nagar Police Station Mr. Yogendra Kumar to take action against anti social elements under Goonda Act and warn them not to enter and indulge in illigal activities in Sachidananda Nagara Layout in the jurisdiction of Rajarajeshwari Nagara. He collected the details from the Police Inspector too and directed him to invoke Goonda Act against culprits if they continue illigal activities..
Mr. Mohanti has also directed the Inspector to remove all illigal structures constructed by the anti social elements, when the delegation called his attention towards the the illgal constructions by anti social elements in Survey Number 240. SNNA with the support of IAC staged Gandhigiri in the premises of Commissionerate of Police on 13th October 2011 Thursday along with roses and submitted the memorendum Commissioner of Police Sri. Jyothi Prakash Mirji, and requested to provide protection to the genuine site owners against illigal activities by anti social elements and land mafia. About 80 people waited the Police Commissioner’s office for about 5 hours to meet Police Commissioner Sri Mirji, as he was busy with the Chief Minister Sri Sadananda Gowda in the inspection of Metro works. Mr. Mirji, after hearing the grievances of the site owners of Sachidananda Nagara assured that he look in to the matter and assigned Joint Commissioner of Police Mr. Pranob Mahanti to sort out the issue. Earlier, Rajarajeshwari Nagar police declined to register cases against the anti social elements supported by land mafia who were indulging in creation of documents against court judgments and illegal constructions in the layout. However Police started to register complaints against offenders after DCP (West) S.N. Sidramappa who verified documents with SNNA delegation on 3rd October 2011, directed to register cases. But they refused to warn the offenders to stop the illegal constructions. Then SNNA decided to stage Gandhigiri. Click the image above to view the report appeared in The Hindu regarding Gandhigiri. Bangalore: Janata Darshan onTuesday 4th October 2011was unusual to Chief Minister Sadananda Gowda. 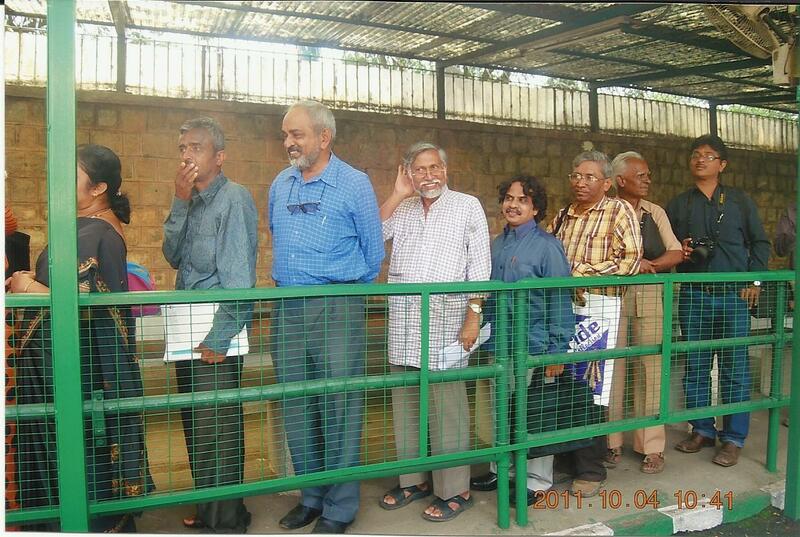 He surprised to see the Journalists of Bangalore City, in the Q of Janata Darshan, silently waiting for their turn. It was the delegation of Journalists’ Association of Karnataka (JAK) and Journalist Wing of Deccan Herald – Prajavani Union (BNEU). They waited in the Q and met Chief Minister D.V. 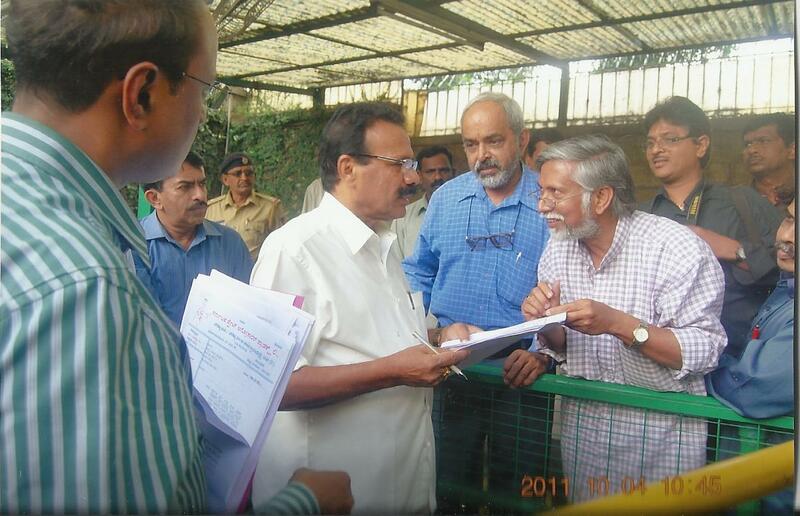 Sadananda Gowda with the memorandum regarding Bus Pass Problem on their hand at10 amat Chief Minister’s Residential Office ‘Krishna’. The delegation urged D.V. Sadananda Gowda to implement the orders of the Successive Chief Ministers for immediate renewal of bus passes which was denied by the BMTC at the behest of Mr. Ashok, the Transport Minister, the latter continuing to ignore the CMs’ orders. DVS assured the delegation to implement the said orders at once. The Background Story: Infact Karnataka Government. Led by then Chief Minister D. Devaraja Urs issued these concessional Bus Passes to Journalists during 1974, considering the fact that the Press is 4th Estate in Democracy and is doing yeoman service to the Society by bringing awareness among the public. These Bus passes were issued to the Journalists who produced the letters from the Editors of concerned Paper/ Magazine/ News Agencies or who produced letters from Editorial Forum/ Association of Journalists, the body of Journalists which work for the welfare of Journalists. But Renewal of these Bus passes abruptly stopped by the BMTC in the month of February 2011 for no reasons. For query under RTI Act 2005, BMTC authorities informed thatBusPassrenewal process of Journalists, who don’t have accreditation, was stopped since22-02-2011basing on the circular No.596 issued by KSRTC in 1992 !! It was shocking to the journalists because, the Circular which they quoted was not regarding the stopping of Bus Passes of Journalists. It was related to the issuing of Bus Passes! The Circular clearly mentioned about the formation of committees to issue Bus Passes. Moreover it clearly stated that the passes of those who already holding them shall not be cancelled even if they don’t have the accreditation and even though they change the paper / periodical. Delegation of Journalists Association of Karnataka and Bangalore News Paper Employees Union (BNEU) met then Chief Minister Sri B.S. Yediyurappa on14th July 2011and explained these facts. Chief Minister responded immediately and issued a written directive asking the officials to withdraw the so called order to cancel the journalist’s bus passes and issue bus passes to them as usual. However, this order of chief minister was not implemented, instead transport minister issued separate order to issue concessional bus passes to the journalists who were working in such papers having the membership of INS. JAK delegation again met new Chief Minister D.V. 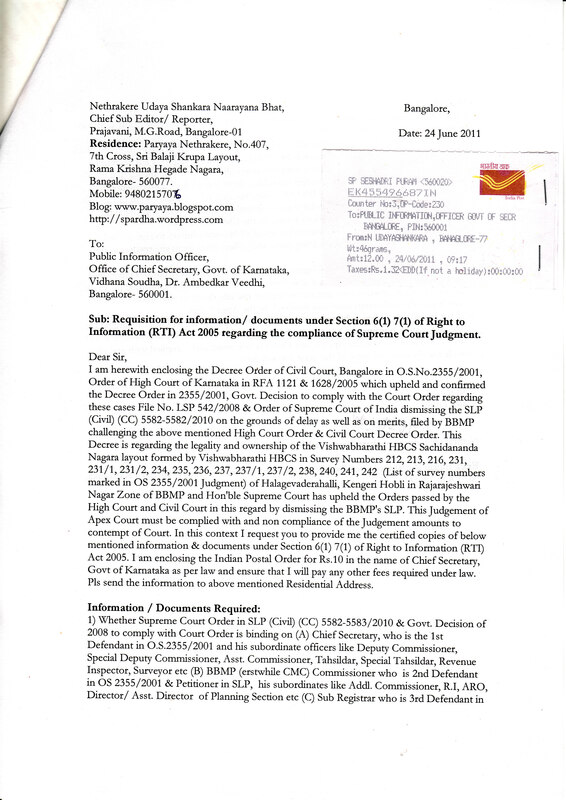 Sadananda Gowda and submitted the fresh memorandum along with the copy order of former chief minister Yediyurappa regardingJournalistsBusPasson12th August 2011. DVS immediately directed the concerned to implement the order. Then it was understood that both orders of Chief Minister and Transport Minister were placed before the BMTC Board for approval on 28th of September 2011, but reportedly sent back to Transport Minister’s office for further changes in the note and for ratification! Journalists enraged by such delay in implementation of successive Chief Ministers orders, decided to meet Chief Minister again in his Janata Darshan. Pls Click the images to view larger size and pdf of Memo to successive chief ministers, RTI Reply from officers, The circular which was used to stop renewal of bus passes and Orders of Chief Minister as well as Transport Minister. Aaj Ka Mahabharath.! ಇಂದಿನ ಮಹಾ ಭಾರತ..! To view the details of Aaj Ka Mahabharath pls click the image above. Mr. H.Y. 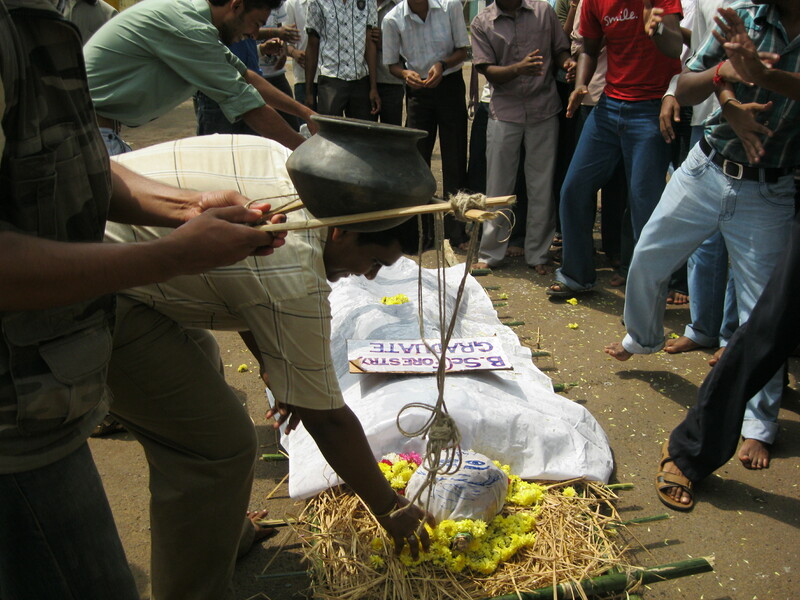 Mahesh who has been fighting corruption in BBMP for the past threeYears through intense use of RTI and Lokayukta died in an accident this Monday (20th December 2010) Morning. Mahesh was fatally hit from behind by a BMTC bus while he was on hisScooter and he succumbed to injuries before he arrived at the Victoria Hospital. He was on his way to Lokayukta office to file a complaint against BBMP OfficersAnd Revenue Department officials. Mahesh had waged an intense war against corruption at BBMP and for the pastThree years, he along with me and Dr. Shankara Prasad had worked under the banner of Sachidananda Nagara Nyayapara Andolana (SNNA) (www.nyayapara-andolana.org) and had used RTI and Lokayukta to solve the problem of Khata issual at BBMP. 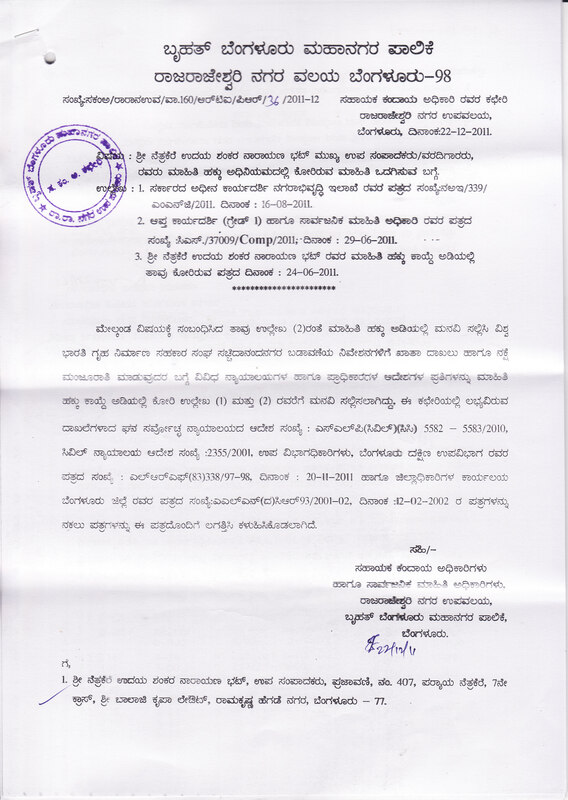 Most recently, Mahesh was called one of the “Khata Warriors” of Bangalore and he along with others was successful in convincing Lokayukta Justice Santosh Hegde to issue a directive to BBMP Commissioner to issue Khata to all Sachidananda Nagar site owners, according to the Supreme Court order. His hard work of more than three years had benefited more than 900 Bangalore residents toget their BBMP Khatas without paying bribe. After obtaining his B.Com degree, Mahesh has been in the Banking industry. He had been working with State Bank of India for the past 32 years with manyresponsibilities. His passion had been to fight against injustice since hisCollege days. He had taken keen interest in understanding government processesAnd in intricately working towards trapping people involved in corrupt practices in government. His mission after retirement was to educate citizens of theirRights and duties. 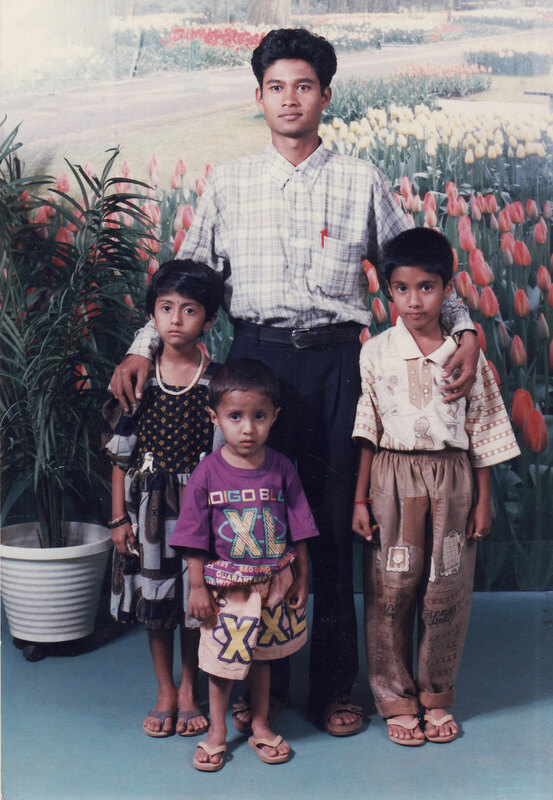 He is survived by his wife Harini , two daughters Namitha and Namratha apart from his aged mother and brothers. “Losing such a dedicated activist who wanted to clean up the corrupt governmentSystem, is a great loss to Bangaloreans and to Sachidananda Nagara NyayaparaAndolana” said Dr. Shankara Prasad, who was a partner and coordinator of the Andolana. Now Mahesh, remained a memory to all of us. But his commitment, inspiring words and compassion to friends and family members will inspire all of us in forwarding the movement he committed and fulfill the task unfulfilled. Please click the images here to read the press reports appeared in various news papers in Kannada as well as English, like The Hindu, Indian Express, Times of India, Deccan Chronicle, DNA, Kannada Prabha, Udayavani, Vijaya Karnataka, Prajavani etc along with the PDF of some condolence messages we received. Dr. B.S. 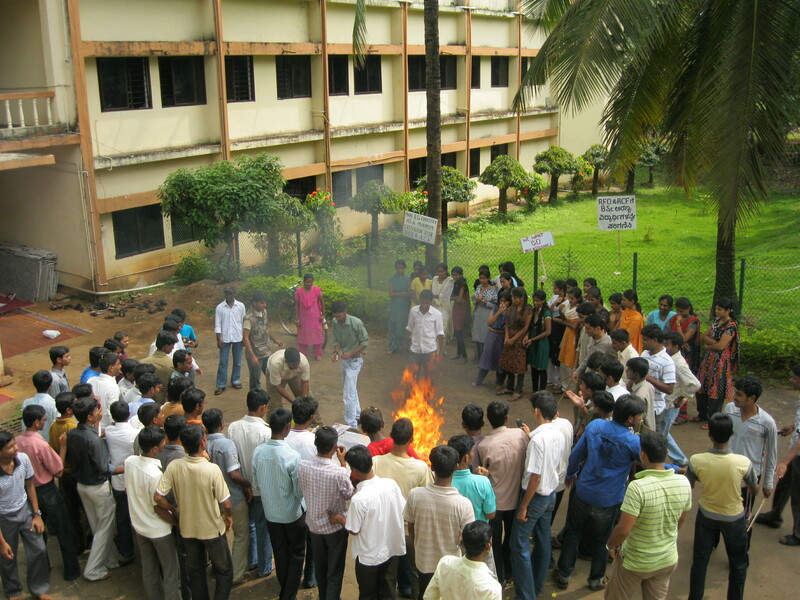 Nadagowdera from Bangalore has urged Karnataka Government to give justice to Forestry students of Karnataka who are in strike since 27 September 2010. Here is his letter published in Vijaya Karnataka Kannada daily Vachaka Vijaya section on 9th December Thursday 2010. He urged the Government to promulgate GO making B.Sc (Forestry) sole eligibility criteria for the posts of R.F.O and ACF. He has also urged to give priority to M.Sc (Forestry) and PHD students too in appointments in forest department in Karnataka. 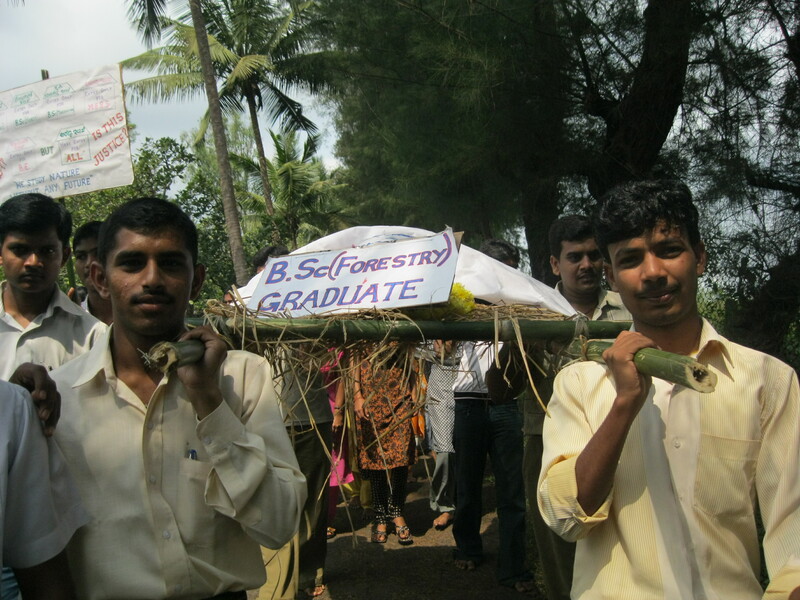 Click the image below for some more details about forestry students strike and Video on the Road Rokho at Sirsi recently. ಗೊತ್ತಾ ಈ ಮಹಾಂತೇಶ ‘ನಮ್ಮ ಮನೆ ಹುಡುಗ’ ಆಗಿದ್ದ..! ಇದು ಸುಮಾರು 13 ವರ್ಷಗಳ ಹಿಂದಿನ ಕಥೆ. ಹುಬ್ಬಳ್ಳಿಯಲ್ಲಿ ನಾನು ಕಚೇರಿಯಲ್ಲಿ ಕೆಲಸ ಮಾಡುತ್ತಿದ್ದಾಗ ಒಂದು ದಿನ ಈ ಹುಡುಗ ಬಂದಿದ್ದ. ಆಯುರ್ವೇದ ಸಮ್ಮೇಳನದ ಆಮಂತ್ರಣ ಪತ್ರಿಕೆಯನ್ನು ಪತ್ರಿಕೆಯಲ್ಲಿ ಸುದ್ದಿ ಪ್ರಕಟಣೆ ಸಲುವಾಗಿ ನೀಡುವುದು ಆತನ ಉದ್ಧೇಶವಾಗಿತ್ತು. ಆ ಆಮಂತ್ರಣ ಪತ್ರಿಕೆಯಲ್ಲಿ ಇದ್ದ ಒಂದು ಪುಟ್ಟ ಸಾಲು ನನ್ನ ಗಮನ ಸೆಳೆಯಿತು. ಬಿ.ಎಸ್. ರಾಮಣ್ಣವರ ಅವರಿಂದ ಉಚಿತ ದಂತ ಚಿಕಿತ್ಸಾ ಶಿಬಿರ! ಈ ಬಗ್ಗೆ ಹುಡುಗನ ಬಳಿ ವಿಚಾರಿಸಿದ್ದೆ. ‘ಶಿಬಿರದಲ್ಲಿ ಬಿ.ಎಸ್. ರಾಮಣ್ಣವರ ಅರಿವಳಿಕೆಯನ್ನೇ ನೀಡದೆ, ಒಂದಿಷ್ಟೂ ನೋವು ಆಗದಂತೆ ಚಕ ಚಕನೆ ಹಲ್ಲು ಕೀಳುತ್ತಾರೆ ಎಂಬ ಉತ್ತರ ಬಂತು. ನನ್ನ ಕುತೂಹಲ ಇನ್ನಷ್ಟು ಹೆಚ್ಚಿತ್ತು…. ಈ ರಾಮಣ್ಣವರ ಎಂಬ ವೈದ್ಯರನ್ನು ಮಾತನಾಡಿಸಬೇಕು ಎನ್ನಿಸಿತು. ಆಮಂತ್ರಣ ಪತ್ರಿಕೆ ತಂದಿದ್ದ ಹುಡುಗನ ಅಕ್ಕನ ಮನೆ ಹುಬ್ಬಳ್ಳಿಯ ಉಣಕಲ್ ಸಮೀಪ ಇತ್ತು. ಅಲ್ಲಿಗೆ ಬರುವುದಾಗಿ ಹೇಳಿದೆ. ಆ ಹುಡುಗನ ಜೊತೆಗೇ ಅಲ್ಲಿಗೆ ಹೋದೆ. ವಯೋವೃದ್ಧ ರಾಮಣ್ಣನವರ ಜೊತೆಗೆ ಮಾತನಾಡಿದೆ. ಅರಿವಳಿಕೆ ನೀಡದೆ ಹಲ್ಲು ಕೀಳುವ ಅವರ ವಿಶೇಷ ವಿದ್ಯೆ ಬಗ್ಗೆ ಪ್ರಶ್ನಿಸಿದೆ. ಅವರಿಂದ ಅದರ ಬಗ್ಗೆ ವಿಸ್ತೃತ ವಿವರಣೆ ಲಭಿಸಿತು. ಈ ಬಗ್ಗೆ ಬರೆದ ವಿಶೇಷ ಲೇಖನ ‘ಸುಧಾ’ ವಾರಪತ್ರಿಕೆಯಲ್ಲಿ (16 ನವೆಂಬರ್ 1997) ಪ್ರಕಟವಾಯಿತು. ಇದೇ ಲೇಖನ ‘ಡೆಕ್ಕನ್ ಹೆರಾಲ್ಡ್’ ಪತ್ರಿಕೆಯಲ್ಲೂ ಪ್ರಕಟಗೊಂಡಿತು. ಸುಧಾ ಪತ್ರಿಕೆಯಲ್ಲಿ ಬಂದ ಲೇಖನವನ್ನು ಇಲ್ಲಿರುವ ಸಂದರ್ಶನ ನಡೆಸುತ್ತಿರುವ ಚಿತ್ರವನ್ನು ಕ್ಲಿಕ್ಕಿಸಿ ಓದಬಹುದು. ಹೀಗೆ ಪರಿಚಿತನಾದ ಈ ಹುಡುಗ ಆಗ ಹುಬ್ಬಳ್ಳಿಯ ಸರ್ಕಾರಿ ಆಯುರ್ವೇದ ಕಾಲೇಜಿನಲ್ಲಿ ಆಯುರ್ವೇದ ವೈದ್ಯ ಪದ್ಧತಿ ಕಲಿಯುತ್ತಿದ್ದ. ಕ್ರಮೇಣ ಆತನ ಜೊತೆಗಿನ ಆತ್ಮೀಯತೆಯನ್ನೂ ಹೆಚ್ಚಿಸಿತು. ಇದೇ ವೇಳೆಗೆ ನಮ್ಮ ಮನೆಯಲ್ಲೇ ಇದ್ದ ನನ್ನ ಪತ್ನಿಯ ತಂಗಿಯ ಮಗ ಮನುವಿಗೆ ಚಿಕಿತ್ಸೆ ಕೊಡಿಸುವ ಸಲುವಾಗಿ ನನಗೆ ಆಯುರ್ವೇದ ಆಸ್ಪತ್ರೆಗೆ ಅಡ್ಡಾಡಬೇಕಾಗಿತ್ತು. ಆಯುರ್ವೇದ ಕಾಲೇಜಿನ ಈ ಹುಡುಗ ನಮ್ಮ ಮನೆಗೆ ಬಂದು ಆಸ್ಪತ್ರೆಗೆ ಹುಡುಗನನ್ನು ಕರೆದೊಯ್ಯಲು ನೆರವಾಗುತ್ತಿದ್ದ. ತನ್ನ ದ್ವಿಚಕ್ರವಾಹನದಲ್ಲೇ ಈ ಬಾಲಕನ್ನು ಕರೆದೊಯ್ಯುತ್ತಿದ್ದ. ಆತನ ಗುರು ಆಯುರ್ವೇದ ಕಾಲೇಜಿನ ಡಾ. ಪ್ರಶಾಂತ ಅವರ ಬಳಿಗೆ ಕರೆದೊಯ್ದು ವೈದ್ಯೋಪಚಾರ ಮಾಡಿಸುತ್ತಿದ್ದ. ಮನೆಗೆ ಬಂದಾತ ನಮ್ಮ ಮಕ್ಕಳ ಜೊತೆಗೆ ನಿತ್ಯ ಮಕ್ಕಳಾಟ ಆಡುತ್ತಿದ್ದ, ನಗೆ ಚಾಟಿಕೆ ಹಾರಿಸುತ್ತಿದ್ದ. ಯಾವ ಸಂಕೋಚವೂ ಇಲ್ಲದೆ ಮನೆ ಮಂದಿಯಂತೆಯೇ ಬೆರೆತು ಊಟಕ್ಕೆ, ತಿಂಡಿಗೆ ಕಾಡುತ್ತಿದ್ದ. ಅವರೊಂದಿಗೆ ‘ಫೊಟೋ’ ಹೊಡೆಸಿಕೊಂಡಿದ್ದ. ಕೆಲವೊಮ್ಮೆ ಕಾಲೇಜಿನಲ್ಲಿ ಯಾವುದೋ ಕೆಲಸದಿಂದ ಬರುವುದು ತಡವಾಯಿತೆಂದು ರಾತ್ರಿ ಕಚೇರಿಗೆ ಬಂದು ನನ್ನೊಂದಿಗೇ ಮನೆಗೆ ಬಂದು ನನ್ನ ಊಟದಲ್ಲೇ ತನಗೂ ಪಾಲು ಪಡೆದು ಖುಷಿಯಾಗಿ ಉಂಡು ನಂತರ ಅಕ್ಕನ ಮನೆಗೆ ಹೋಗುತ್ತಿದ್ದ. ಒಂದು ದಿನ ನನ್ನನ್ನೂ ನನ್ನ ಮನೆಯ ಪಕ್ಕದ ಮನೆಯಲ್ಲೇ ಇದ್ದ ಸಹೋದ್ಯೋಗಿ ಮದಕರಿ ನಾಯ್ಕ್ ಅವರನ್ನೂ ಒತ್ತಾಯಪೂರ್ವಕವಾಗಿ ‘ಸಿದ್ಧ ಸಮಾಧಿ’ಯೋಗದ ಪರಿಚಯ ಕಾರ್ಯಕ್ರಮಕ್ಕೆ ಕರೆದೊಯ್ದಿದ್ದ. ನಮ್ಮಿಬ್ಬರನ್ನೂ ‘ಸಿದ್ಧ ಸಮಾಧಿ ಶಿಬಿರ’ದಲ್ಲಿ ಪಾಲ್ಗೊಳ್ಳುವಂತೆ ಮಾಡಿ ನನ್ನ ಜೀವಮಾನದಲ್ಲಿ ಬಹುತೇಕ ಅಪರಿಚಿತವಾಗಿದ್ದ ‘ಯೋಗ ವಿದ್ಯೆಯ’ ಪರಿಚಯ ಮಾಡಿಸಿಕೊಟ್ಟಿದ್ದ. ತಾನು ಸಿದ್ಧ ಸಮಾಧಿ ಯೋಗದ ಮೂಲಕ ಯೋಗ ವಿದ್ಯೆ ಕಲಿತಿದ್ದರೂ ಅದಕ್ಕೆ ವಿಶ್ವ ವಿದ್ಯಾಲಯದ ಮಾನ್ಯತೆ ಬೇಕೆಂದು ಧಾರವಾಡ ವಿಶ್ವ ವಿದ್ಯಾಲಯದಲ್ಲಿ ಯೋಗ ಕೋರ್ಸ್ ಸೇರಿ ‘ಅಧಿಕೃತವಾಗಿ ಯೋಗಿ’ ಆಗಿದ್ದ! ಮತ್ತೊಂದು ಸಲ ಬೈಲಹೊಂಗಲದಲ್ಲಿ ಇರುವ ತಮ್ಮ ಮನೆಗೆ ಕುಟುಂಬ ಸಮೇತವಾಗಿ ನಮ್ಮನ್ನು ಕರೆದೊಯ್ದಿದ್ದ. ಬೈಲ ಹೊಂಗಲ ಸಮೀಪದ ಪ್ರೇಕ್ಷಣೀಯ ಸ್ಥಳ ಸೊಗಲ ಕ್ಷೇತ್ರದ ದೇವಸ್ಥಾನಗಳಿಗೆ ಕರೆದೊಯ್ದು ಪರಿಚಯಿಸಿದ್ದ. 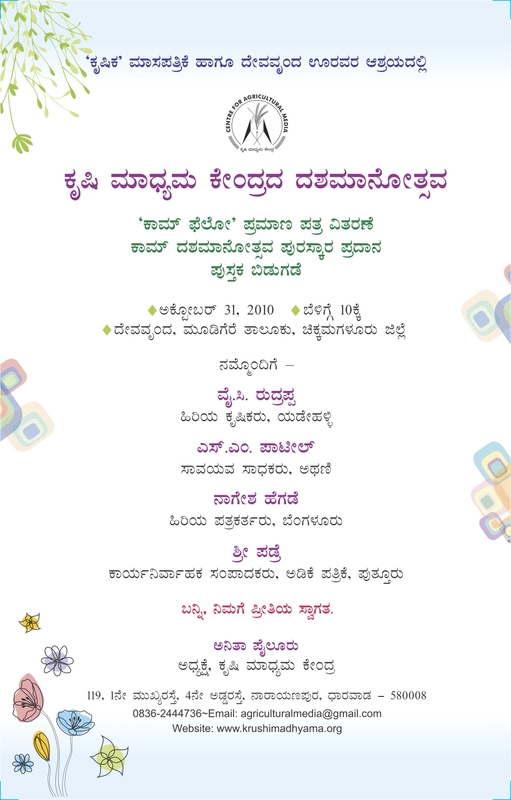 ರಾಣಿ ಚೆನ್ನಮ್ಮನ ಸಮಾಧಿಯ ದರ್ಶನವನ್ನೂ ಮಾಡಿಸಿದ್ದ. ನಮ್ಮ ಊರು ದಕ್ಷಿಣ ಕನ್ನಡದ ವಿಟ್ಟಕ್ಕೂ ಬಂದು ದಕ್ಷಿಣ ಕನ್ನಡದ ಪ್ರಾಕೃತಿಕ ಸೊಬಗನ್ನು ಕಂಡು ಖುಷಿ ಪಟ್ಟಿದ್ದ. ಕೆರೆ, ತೋಡುಗಳಲ್ಲಿ ಮೇಲ್ಮಟ್ಟದಲ್ಲೇ ಹರಿಯುತ್ತಿದ್ದ ನೀರು, ಎಲ್ಲೆಂದರಲ್ಲೂ ಕಾಣುತ್ತಿದ್ದ ಹಚ್ಚ ಹಸಿರಿಗೆ ಮಾರು ಹೋಗಿದ್ದ. ದರ್ಮಸ್ಥಳ, ಸುಬ್ರಹ್ಮಣ್ಯ ಕ್ಷೇತ್ರಗಳಿಗೆ ನಮ್ಮೊಂದಿಗೆ ಅಡ್ಡಾಡಿದ್ದ. ನಾವು ವರ್ಗವಾಗಿ ಬೆಂಗಳೂರಿಗೆ ಬಂದ ಬಳಿಕ ಈ ಹುಡುಗ ಮತ್ತೆ ಕಾಣಲು ಸಿಕ್ಕಿರಲಿಲ್ಲ. ಈ ವಾರ ದೂರದರ್ಶನ ಚಾನೆಲ್ಲುಗಳಲ್ಲಿ ಪತ್ರಿಕೆಗಳಲ್ಲಿ ಇದೇ ಹುಡುಗನ ಚಿತ್ರ, ಸಂದರ್ಶನಗಳು ಬಂದಾಗ ಈ ಹುಡುಗನ ಬಗ್ಗೆ ಹೆಮ್ಮೆ ಎನಿಸಿತು.ಜಗತ್ತಿನ ವೈದ್ಯಕೀಯ ಇತಿಹಾಸದಲ್ಲಿ ತನ್ನ ಹೆಸರು ದಾಖಲಿಸಿದ ಹುಡುಗ ನಮ್ಮ ಮನೆ ಹುಡುಗನಂತೆ ಓಡಾಡಿದ್ದನಲ್ಲ ಎಂಬ ಖುಷಿ ನಮ್ಮ ಮನೆ, ಬಂಧುಗಳ ಮನೆಯಲ್ಲಿ ವಿಜೃಂಭಿಸಿತು. ಫೋನುಗಳು ರಿಂಗಣಿಸಿ ಸಂಭ್ರಮ ಪಟ್ಟವು. ಓಹ್… ಈ ಹುಡುಗ ಯಾರೆಂದು ಹೇಳಲೇ ಇಲ್ಲವಲ್ಲ? ಹೌದು. ವೈದ್ಯಕೀಯ ಇತಿಹಾಸದಲ್ಲಿ ಬಂಧುಗಳ ದೇಹಛೇದನ ಮಾಡಿದ ಮೊದಲ ವ್ಯಕ್ತಿ ಎಂಬ ಹೆಗ್ಗಳಿಕೆಗೆ ಪಾತ್ರನಾಗಿರುವುದು ವಿಲಿಯಂ ಹಾರ್ವೆ. ಈತ ಸಹೋದರಿಯ ದೇಹಛೇದನ ಮಾಡಿದ್ದ. ಆದರೆ ಮಗನೇ ತನ್ನ ತಂದೆಯ ದೇಹಛೇದನ ಮಾಡಿದ ಉದಾಹರಣೆ ಇಲ್ಲ. ಹೀಗಾಗಿಯೇ ಬಿಬಿಸಿಯಂತಹ ವಿಶ್ವದ ಖ್ಯಾತ ಸುದ್ದಿ ಚಾನೆಲ್ ಈ ಸುದ್ದಿಯನ್ನು ಜಗತ್ತಿಗೆ ಬಿತ್ತರಿಸಲು ಬೆಳಗಾವಿಗೆ ತನ್ನ ಪ್ರತಿನಿಧಿಗಳನ್ನೂ ಕಳುಹಿಸಿತ್ತು. ನೆನಪಿನ ಅಕ್ಷರಗಳ ಪುಟ್ಟ ಬರಹದ ಮೂಲಕವಾದರೂ ‘ನಮ್ಮ ಮನೆ ಹುಡುಗ’ನ ಈ ಸತ್ಕಾರ್ಯಕ್ಕೆ ಹಾಗೂ ಬೆಂಬಲವಾಗಿ ನಿಂತ ತಾಯಿ, ಪತ್ನಿ ಮತ್ತು ಇತರ ಕುಟುಂಬ ಸದಸ್ಯರಿಗೆ ಅಭಿನಂದನೆ ಹೇಳಬೇಕಾದ್ದು ಕರ್ತವ್ಯ ಎನ್ನಿಸಿತು. ಅದಕ್ಕಾಗಿ ಈ ಪುಟ್ಟ ಲೇಖನ. ಈ ಬರಹದ ಜೊತೆಗೆ ಇರುವ ಚಿತ್ರಗಳನ್ನು ದಯವಿಟ್ಟು ಕ್ಲಿಕ್ಕಿಸಿ. ಡಾ. ಮಹಾಂತೇಶ ರಾಮಣ್ಣವರ ಅವರು ಬರೆದ ‘ಚಾರಿತ್ರಿಕ ದಾಖಲೆ’ಯ ವರದಿಗಳು, ಟಿವಿಗಳಲ್ಲಿ ಬಂದ ವರದಿಗಳ ವಿಡಿಯೋಗಳು, ಜೊತೆಗೆ 13 ವರ್ಷಗಳ ಹಿಂದೆ ‘ಸುಧಾ’ದಲ್ಲಿ ಪ್ರಕಟವಾಗಿದ್ದ ಅವರ ತಂದೆ ಬಿ.ಎಸ್. ರಾಮಣ್ಣವರ ಅವರ ಅಸಾಧಾರಣ ಪ್ರತಿಭೆ ಕುರಿತ ಲೇಖನವನ್ನೂ ಓದಬಹುದು. ಕ್ಷಮಿಸಿ. ‘ಡೆಕ್ಕನ್ ಹೆರಾಲ್ಡ್’ನಲ್ಲಿ ಬಂದಿದ್ದ ಲೇಖನ ಹಳೆಯ ಪತ್ರಿಕೆಗಳ ಕಡತಗಳ ಒಳಗೆಲ್ಲೋ ಅವಿತಿದೆ..! ತತ್ ಕ್ಷಣಕ್ಕೆ ಹುಡುಕಿ ಇಲ್ಲಿ ದಾಖಲಿಸಲು ಸಾಧ್ಯವಾಗುತ್ತಿಲ್ಲ. ವೆಲ್ ಡನ್ ಮಹಂತೇಶ, ಅಭಿನಂದನೆಗಳು. ನೆತ್ತರ ಪತ್ರ, ಸ್ವಭೂತ ದಹನ, ಭಿಕ್ಷಾಟನೆ…! ಬದಲಿಗೆ ಸೆಟ್ಟೆಂಬರ್ 27ರಿಂದ ತಮ್ಮ ಕಾಲೇಜುಗಳ ಎದುರು ಮೌನವಾಗಿ ಕುಳಿತಿದ್ದಾರೆ. ತರಗತಿಗಳನ್ನು ಬಹಿಷ್ಕರಿಸಿದ್ದಾರೆ. ಒಂದು ತಿಂಗಳಲ್ಲಿ ನಮ್ಮ ಸಮಸ್ಯೆ ಬಗೆ ಹರಿಸುತ್ತೇವೆ ಎಂದು ಹೇಳಿದ ಅರಣ್ಯ ಸಚಿವರು ತಮ್ಮ ಮಾತಿಗೆ ಬದ್ಧರಾದಾರು ಎಂದು ಚಾತಕ ಪಕ್ಷಿಗಳಂತೆ ಕಾಯುತ್ತಿದ್ದಾರೆ. ಬೆಂಗಳೂರಿನಲ್ಲಿ ಆಗಿದ್ದರೆ ವಿದ್ಯಾರ್ಥಿಗಳ ಇಷ್ಟೊಂದು ಸುದೀರ್ಘ ಮುಷ್ಕರ ರಾಜ್ಯಮಟ್ಟದ ದೊಡ್ಡ ಸುದ್ದಿ ಆಗಿ ಬಿಟ್ಟಿರುತ್ತಿತ್ತು. ಪತ್ರಿಕೆಗಳಲ್ಲಿ ಪ್ರತಿದಿನ ಮುಖ ಪುಟಗಳಲ್ಲಿ ರಾರಾಜಿಸುತ್ತಿತ್ತು. ವಾಹಿನಿಗಳಲ್ಲಿ ದಿನಕ್ಕೆ ಇಪ್ಪತ್ತು ಸಲ ಪ್ರಸಾರ ಆಗಿರುತ್ತಿತ್ತು..! ರಾಜಕಾರಣಿಗಳು ಈ ಮೊದಲೇ ಇವರ ಮುಷ್ಕರ ಶಿಬಿರಕ್ಕೆ ಎಡತಾಕಿ ಭರವಸೆಗಳ ಮಹಾಪೂರ ಹರಿಸಿ ಬಿಡುತ್ತಿದ್ದರು! ಆದರೆ ಇವರ ಮುಷ್ಕರದ ಸುದ್ದಿ ಮಾತ್ರ 33 ದಿನಗಳು ಕಳೆದುಹೋಗಿದ್ದರೂ ಸುದ್ದಿಯಾಗುತ್ತಿಲ್ಲ. ತಮ್ಮದೇ ಕುರ್ಚಿ ಉಳಿಸಿಕೊಳ್ಳುವ, ರೆಸಾರ್ಟುಗಳಲ್ಲೇ ಹಗಲಿರುಳು ದಿನಕಳೆಯುತ್ತಿರುವ ಆಳುವ ಪಕ್ಷ ಪ್ರತಿಪಕ್ಷಗಳ ಶಾಸನ ಕರ್ತರಿಗೆ ಇವರ ಅಳಲು ಕೇಳುತ್ತಿಲ್ಲ..! ಏಕೆಂದರೆ ಈ ವಿದ್ಯಾರ್ಥಿ- ವಿದ್ಯಾರ್ಥಿನಿಯರು ಮುಷ್ಕರ ಕುಳಿತಿರುವುದು ರಾಜ್ಯದ ರಾಜಧಾನಿ ಬೆಂಗಳೂರಿನಲ್ಲಿ ಅಲ್ಲ. ದೂರದ ಉತ್ತರ ಕನ್ನಡ ಜಿಲ್ಲೆಯ ಶಿರಸಿ ಮತ್ತು ಮಡಿಕೇರಿ ಜಿಲ್ಲೆಯ ಪೊನ್ನಂಪೇಟೆ ಎಂಬ ಪುಟ್ಟ ಪಟ್ಟಣಗಳಲ್ಲಿ. ಆದರೆ ಇವರು ಕಲಿಯುತ್ತಿರುವ ಕಾಲೇಜುಗಳು ಎಲ್ಲೆಂದರಲ್ಲಿ ಇರುವ ಕಾಲೇಜುಗಳಲ್ಲ. ನಮ್ಮ ಬದುಕಿನ ಅಸ್ತಿತ್ವಕ್ಕೆ ಅಡಿಗಲ್ಲಾದ ಕೃಷಿಗೆ ಪೂರಕವಾದ ಅರಣ್ಯಗಳ ಸಂರಕ್ಷಣೆ- ಸಂವರ್ಧನೆಯ ಬಗ್ಗೆ ಹೇಳಿಕೊಡುತ್ತಿರುವ ಅರಣ್ಯ ಕಾಲೇಜುಗಳು. ನಮ್ಮ ರಾಜ್ಯದಲ್ಲಿ ಇರುವ ಎರಡೇ ಎರಡು ಕಾಲೇಜುಗಳು ಇವು. ಈ ವಿದ್ಯಾರ್ಥಿಗಳ ತಮಗೆ ಸ್ವರ್ಗ ತಂದುಕೊಡಿ ಎಂದು ಕೇಳುತ್ತಿಲ್ಲ. ಅವರ ಬೇಡಿಕೆ ಅತ್ಯಂತ ಸರಳವಾದದ್ದು. ಸ್ವಾಮೀ ನಮ್ಮ ಶಿಕ್ಷಣಕ್ಕಾಗಿ ಲಕ್ಷಾಂತರ ರೂಪಾಯಿ, ಜನರ ತೆರಿಗೆ ಹಣವನ್ನು ಸರ್ಕಾರಿ ಅನುದಾನದ ಮೂಲಕ ವೆಚ್ಚ ಮಾಡುತ್ತಿದ್ದೀರಿ. ಅಷ್ಟೊಂದು ವೆಚ್ಚದಲ್ಲಿ ಕಲಿತ ವಿದ್ಯೆಗೆ ಮಾನ್ಯತೆ ಕೊಡಿ. ಅರಣ್ಯ ಸಂರಕ್ಷಣೆಯಲ್ಲಿ ಮಹತ್ವದ ಪಾತ್ರ ವಹಿಸುವ ವಲಯ ಪ್ರಾದೇಶಿಕ ಅಧಿಕಾರಿ (ಆರ್ ಎಫ್ ಓ) ಮತ್ತು ಸಹಾಯಕ ಅರಣ್ಯ ಸಂರಕ್ಷಣಾಧಿಕಾರಿ (ಎಸಿಎಫ್) ಹುದ್ದೆಗಳಿಗೆ ನೇಮಕಾತಿ ಮಾಡುವಾಗ ನಾವು ಕಲಿಯುತ್ತಿರುವ ಬಿಎಸ್ ಸಿ (ಫಾರೆಸ್ಟ್ರಿ) ಹುದ್ದೆಯನ್ನು ಕನಿಷ್ಠ ಮಾನದಂಡವನ್ನಾಗಿ ಮಾಡಿ ರಾಜ್ಯ ಪತ್ರ ಪ್ರಕಟಣೆ ಹೊರಡಿಸಿ ಅಂತ ಅಷ್ಟೇ. ಈ ಎರಡು ಕಾಲೇಜುಗಳಿಂದ ಪ್ರತಿವರ್ಷ ಹೊರ ಬರುತ್ತಿರುವ ವಿದ್ಯಾರ್ಥಿಗಳ ಸಂಖ್ಯೆಯೇನೂ ಎಂಜಿನಿಯರ್, ವೈದ್ಯರ ಹಾಗೂ ಭಾರೀ ಪ್ರಮಾಣದ್ದಲ್ಲ. ಆದರೆ ಅಷ್ಟು ಮಂದಿ ಕನಿಷ್ಠ ಸಂಖ್ಯೆಯ ವಿದ್ಯಾರ್ಥಿಗಳಿಗೂ ಅವರು ಕಲಿತ ಕ್ಷೇತ್ರದಲ್ಲಿ ಕೆಲಸ ಸಿಗುತ್ತಿಲ್ಲ. ಅರಣ್ಯ ಇಲಾಖೆಯಲ್ಲಿ ಹುದ್ದೆಗಳು ಇಲ್ಲವೆಂದಲ್ಲ. ಇವರಿಗೆ ಸಿಗುವುದು ಶೇಕಡಾ 50ರಷ್ಟು ಮಾತ್ರ. ಉಳಿದ ಹುದ್ದೆಗಳಿಗೆ ಇಲಾಖಾ ಪ್ರಮೋಷನ್ ಮೂಲಕ ಭರ್ತಿ ಆಗುತ್ತದೆ. ಇಲ್ಲವೇ ಈ ಹುದ್ದೆಗಳಿಗಾಗಿ ಇತರ ಡಿಗ್ರಿ ಪಡೆದ ವಿದ್ಯಾರ್ಥಿಗಳ ಜೊತೆಗೆ ಸ್ಪರ್ಧೆಯಲ್ಲಿ ಈ ವಿದ್ಯಾರ್ಥಿಗಳು ಸೆಣಸಾಡಬೇಕು. ಅವರಿಗೆ ಕೆಲಸಕ್ಕೆ ಅರಣ್ಯವೇ ಬೇಕಂತ ಏನೂ ಇಲ್ಲ. ಇತರ ಕಡೆಗಳಲ್ಲಿ ಅವರಿಗೆ ಮುಕ್ತ ಪ್ರವೇಶಕ್ಕೆ ಅವಕಾಶಗಳುಂಟು. ಆದರೆ ಇವರಿಗೆ ಕಾಡು ಬಿಟ್ಟರೆ ಕೆಲಸಕ್ಕೆ ಬೇರೆ ದಾರಿಯೇ ಇಲ್ಲ. ಏಕೆಂದರೆ ನಾಲ್ಕು ವರ್ಷಗಳ ಕಾಲ ಇವರು ಕಲಿಯುವುದು ಇದನ್ನೇ- ಕಾಡು ಬೆಳೆಸುವುದು ಹೇಗೆ, ಅದನ್ನು ರಕ್ಷಿಸುವುದು ಹೇಗೆ, ಕಾಡು ಸಸಿಗಳು, ಕಾಡಿನಲ್ಲಿರುವ ಔಷಧದ ಸಸ್ಯಗಳು ಎಲ್ಲಿವೆ, ಅವುಗಳ ಸಂರಕ್ಷಣೆ ಹೇಗೆ, ಕಾಡು ಪ್ರಾಣಿಗಳ ರಕ್ಷಣೆ ಹೇಗೆ ಇತ್ಯಾದಿ. ಈ ಕೆಲಸಗಳನ್ನು ನಾಡಿನಲ್ಲಿ ಎಲ್ಲಾದರೂ ಮಾಡಲಿಕ್ಕೆ ಸಾಧ್ಯವುಂಟಾ ಹೇಳಿ ಸ್ವಾಮಿ? ಈ ಮಕ್ಕಳು ಮುಷ್ಕರ ಅಂತ ಶಾಮಿಯಾನಾ ಹಾಕಿಕೊಂಡು ಸುಮ್ಮನೇ ಕುಳಿತುಕೊಂಡಿಲ್ಲ. ಶಿರಸಿ ಅರಣ್ಯ ಕಾಲೇಜಿನ ವಿದ್ಯಾರ್ಥಿ- ವಿದ್ಯಾರ್ಥಿನಿಯರು ತಮ್ಮ ರಕ್ತದಿಂದಲೇ ಹಸ್ತಾಕ್ಷರ- ಹೆಬ್ಬೆಟ್ಟಿನ ಗುರುತು ಹಾಕಿ ‘ನೆತ್ತರ ಪತ್ರ’ವನ್ನು ಬರೆದು ಅರಣ್ಯ ಸಚಿವರಿಗೆ ರವಾನಿಸಿದ್ದಾರೆ. ರಾಜಕಾರಣಿಗಳ ತರಹ ಇತರರ ಭೂತ ದಹನ ಮಾಡಿಲ್ಲ. ಬದಲಿಗೆ ‘ಸ್ವ ಭೂತ ದಹನ’ ಮಾಡಿದ್ದಾರೆ. ‘ಬಿಎಸ್ಸ್ ಸಿ (ಅರಣ್ಯ) ಪದವೀಧರನ ಶವ’ಕ್ಕೆ ಅಲಂಕಾರ ಮಾಡಿ ಊರು ತುಂಬಾ ಮೆರವಣಿಗೆ ಮಾಡಿ ಶಾಸ್ತ್ರಕ್ತವಾಗಿ ಅಂತ್ಯಕ್ರಿಯೆ ಮಾಡಿದ್ದಾರೆ..! ವಿಶ್ವ ವಿದ್ಯಾಲಯದ ಆಡಳಿತ ವರ್ಗ ಕಾಲೇಜಿನ ‘ಮೆಸ್’ ಬಂದ್ ಮಾಡಿದ್ದಕ್ಕಾಗಿ ಕಾಲೇಜಿನ ಆವರಣದಲ್ಲಿ ಇಲ್ಲವೇ ರಸ್ತೆ ಬದಿಯಲ್ಲೇ ಸೌದೆ ಉರಿಸಿ ಅಡಿಗೆ ಮಾಡಿಕೊಂಡು ಉಣ್ಣುತ್ತಿದ್ದಾರೆ. ಪೊನ್ನಂಪೇಟೆಯಲ್ಲಿ ಅರಣ್ಯ ಕಾಲೇಜಿನ ಮಕ್ಕಳು ಊರೊಳಗೆ ಭಿಕ್ಷಾಟನೆ ಮಾಡಿ ಅದರಿಂದ ಬಂದ ಹಣದಿಂದ ಊಟದ ಖರ್ಚು ನಿಭಾಯಿಸುತ್ತಿದ್ದಾರೆ. ಸರ್ಕಾರಕ್ಕೆ, ಸಚಿವರಿಗೆ ಇವರ ಕಷ್ಟ – ಬೇಡಿಕೆ ಅರ್ಥವಾಗಿಲ್ಲ. ಸರ್ಕಾರದ ದಾರಿ ತಪ್ಪಿಸುವ ಅಧಿಕಾರಿಗಳಿಗೆ ತಾವು ಸಮಾಜದಿಂದಲೇ ಇವರ ವಿದ್ಯಾಭ್ಯಾಸಕ್ಕಾಗಿ ವೆಚ್ಚ ಮಾಡುವ ಹಣ ನೀರ ಮೇಲಣ ಹೋಮವಾಗುತ್ತಿದೆ ಎಂಬುದು ಗೊತ್ತಾಗುತ್ತಿಲ್ಲ..
ರಾಜಕೀಯ ಡೊಂಬರಾಟದ ಸಚಿತ್ರ ವರದಿ ನೀಡುವ ಮಾಧ್ಯಮಗಳಿಗೆ ಈ ಮಕ್ಕಳ ‘ನ್ಯಾಯೋಚಿತ ಹೋರಾಟ’ಕ್ಕೆ ಮಹತ್ವ ನೀಡಿ ಸರ್ಕಾರದ ಕಣ್ಣು ತೆರೆಸಬೇಕೆಂಬ ಅರಿವಾಗಿಲ್ಲ. ಇಲ್ಲಿ ಶಿರಸಿ ಅರಣ್ಯ ಕಾಲೇಜಿನ ಮಕ್ಕಳು ನಡೆಸಿದ ‘ಸ್ವ ಭೂತ ದಹನ’ದ ಹಾಗೂ ಪೊನ್ನಂಪೇಟೆ ಅರಣ್ಯ ಕಾಲೇಜಿನ ಮಕ್ಕಳು ನಡೆಸಿದ ‘ಭಿಕ್ಷಾಟನೆ’ಯ ಚಿತ್ರಗಳಿವೆ. ಚಿತ್ರಗಳನ್ನು ಕ್ಲಿಕ್ ಮಾಡಿದರೆ ಅವುಗಳ ಜೊತೆಗಿನ ಲಿಂಕ್ – ಲೇಖನಗಳು- ಬೇಡಿಕೆಗಳು – ದೊಡ್ಡ ಗಾತ್ರದ ಚಿತ್ರಗಳನ್ನು ನೋಡಬಹುದು. ನೋಡಿ, ಓದಿ- ಪತ್ರ ಬರೆದು ಸರ್ಕಾರವನ್ನು, ಸಚಿವರನ್ನು ಎಚ್ಚರಿಸುವ ಕೆಲಸ ಮಾಡಿದರೆ ನಿಮ್ಮಿಂದ ನಾಡಿಗೆ ದೊಡ್ಡ ಉಪಕಾರವಾಗಬಹುದು, ಅರಣ್ಯ ಸಂರಕ್ಷಣೆಯ ವಿದ್ಯೆ ಕಲಿಯಬೇಕೆಂದೇ ಹೊರಟ ವಿದ್ಯಾರ್ಥಿಗಳಿಗೆ ಕೆಲಸ ಸಿಗುವಂತಾಗಬಹುದು. ಕೃಷಿಕಪರ ಪತ್ರಿಕೋದ್ಯಮ – ಎರಡು ದಶಕದ ಈಚೆಗಿನ ಎದ್ದು ಕಾಣಿಸತೊಡಗಿದ ಪರಿಕಲ್ಪನೆ. ಕೃಷಿಯ ಕುರಿತು ವಿಜ್ಞಾನಿಗಳೇ ಬರೆಯಬೇಕು ಎಂದಿದ್ದ ಸ್ಥಿತಿಯನ್ನು ಬದಲಿಸಿ, ರೈತರೂ ತಮ್ಮ ಅನುಭವದ ಮೂಸೆಯಿಂದ ಬರೆಯಬಹುದೆಂದು ಅಡಿಕೆ ಪತ್ರಿಕೆ ತೋರಿಕೊಟ್ಟಿತು. ಈ ಹಾದಿಯಲ್ಲೀಗ ಕೃಷಿ ಮಾಧ್ಯಮ ಕೇಂದ್ರ (ಕಾಮ್ – CAM – Centre for Agricultural Media) ) ದೊಡ್ಡ ಹೆಜ್ಜೆ ಇಟ್ಟಿದೆ. ಮುಖ್ಯವಾಹಿನಿ ಪತ್ರಿಕೆಗಳಿಗೆ ‘ಸೆಡ್ಡು ಹೊಡೆಯದೆ’ ರೈತರ ದನಿಯಾಗಿ ಪತ್ರಕರ್ತರನ್ನು ರೂಪಿಸುತ್ತಿದೆ. ಈಗ ಕೃಷಿ ಮಾಧ್ಯಮ ಕೇಂದ್ರಕ್ಕೆ ದಶಮಾನೋತ್ಸವ ಸಂಭ್ರಮ. ದಶಮಾನೋತ್ಸವ ಸಮಾರಂಭ ಚಿಕ್ಕಮಗಳೂರು ಜಿಲ್ಲೆಯ ಮೂಡಿಗೆರೆ ತಾಲೂಕಿನ ದೇವವೃಂದದಲ್ಲಿ ಅಕ್ಟೋಬರ್ 31, 2010 ಭಾನುವಾರ ಬೆಳಿಗ್ಗೆ 10 ಗಂಟೆಗೆ ಆರಂಭವಾಗಲಿದೆ. ಸಮಾರಂಭದ ಆಮಂತ್ರಣ ಪತ್ರಿಕೆ ಇಲ್ಲಿದೆ. ಮೇಲಿನ ಚಿತ್ರದ ಮೇಲೆ ಕ್ಲಿಕ್ ಮಾಡಿ ಕಾಮ್ ನಡೆದುಬಂದ 10 ವರ್ಷಗಳ ಹಾದಿಯ ಸಿಂಹಾವಲೋಕನ ಮಾಡಿ. I am a journalist from farmer community of rural area Nethrakere Vittla of Dakshina Kannada District, Karnataka. I started my profession in Hindusthan Samachar news agency and Worked in several news papers like Janavani, Munjane, Mungaru, Samyukta Karnataka and at present serving in Prajavani, Bangalore.